This is the second guest article by Greg Tennyson, CPO at VSP Global, discussing the importance of managing your Tail Spend. 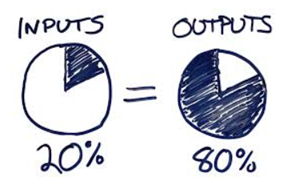 Tail Spend generally follows the Pareto Principle of 20% input (Spend) equals 80% output (Suppliers). To state it differently 80% of your supplier base is generally equivalent to 20% of a company’s total spend. Compounding matters Tail Spend is considered a low priority, that is, each individual transaction is of a small dollar value and is typically unmanaged resulting in challenges with data clarity, integrity and visibility. Your classic garbage in, garbage out scenario. Tail Spend is important and can be managed. First, let’s do the math. A US-based analytics and tail spend management startup called FairMarkIT spent the past 9 months on hundreds of conference calls and in-person meetings with CPOs, VPs of Procurement, Heads of Sourcing and Purchasing from large organizations with spend under management ranging from $2B-$XB annually. Using those engagements as a baseline if we consider 20% of the $2B in spend under management that would then represent a Tail Spend opportunity valued at $400M. Now let’s consider how most companies manage Tail Spend…. In those same conversations had with the ‘heads of’ one question was asked every time – ‘how do you currently manage your tail spend?’ Guess what, based on the garbage in, garbage out scenario most ‘heads of’ don’t try to manage tail spend. 1) The CPO with minimal time who really doesn’t care. Their thought process is anything under a specific dollar threshold is too small to focus their team’s time and the trivial purchase size will limit its risk to the business. 2) The CPO that knows it’s an important problem to address, but has no idea where to start. The procurement of these small purchases is decentralized, untracked, and spans across so many categories that it feels like they are trying to boil the ocean. 3) The CPO that has established an initiative and is taking strategic, incremental steps to gain control and optimize unmanaged spend. This third CPO seems to always be looking for new innovative ways to challenge the status quo and has no problem shaking up legacy processes. By using automated processes that identify and group unstructured data, FairMarkIT can aggregate your tail spend transaction history into a meaningful and actionable roadmap that a team can leverage to make business decisions around tail spend management. Most importantly, tell you where’s the best place to start. The most obvious risk is overpaying for a product or service. Those familiar with the world of B2B selling or purchasing know that pricing is not standardized and tends to be more like the Wild West. It’s no secret that companies pay varying amounts for the exact same B2B products, and if they’re not intelligently sourced, the risk of overpaying dramatically increases. I fully agree that not all tail spend purchases fall victim to this, as there are some categories and vendors that do hold fairly consistent price discounting levels, but, without tracking and reviewing the data, how can you even begin to identify your largest areas of risk? The second type of risk is time, which is frequently viewed by a CPO as a team’s most valuable resource. 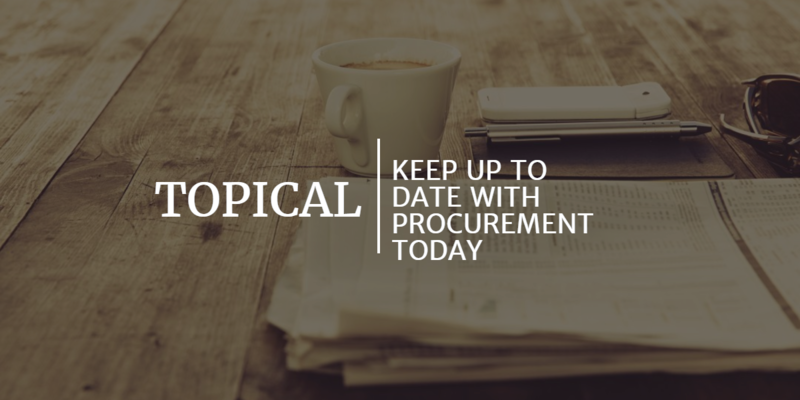 The current process to source small to medium purchases is to email or physically call 1-2 suppliers, explain the product or service being purchased, and then collect and organize the returning bids. This is a manual process. Now fast forward that process across 10s of thousands to 100s of thousands of small purchases, depending on the size of the company that are made every single year. If you do want to increase the number of suppliers participating to use competitive forces to drive pricing down, you’re just tacking on additional minutes, hours, days, months to your annual sourcing process. The risks range from procurement fraud to showing favouritism and excluding qualified suppliers to potential cybersecurity concerns. If you’re not tracking or managing 80% of your purchases, how can you expect your buyers to intuitively know which businesses can supply what products at the best price, that mitigate the foregoing operational risks. What is in your Tail Spend that should keep you up at night and what do you plan to do about it? There are solutions out there that can help de-mystify your Tail Spend. I encourage you to consider the total Tail Spend amount, the associated risks and pull a project team together to assess next steps. In the end, your company will be better off as a result of the team’s work. Can Procurement survive without email? Market Dojo’s solution is to make a quotation request easier than email. With just 3 text fields to fill and a drop-down list of categorized pre-approved suppliers, it’s a viable alternative for busy Operations folk who are on the go. By encouraging Operational users to invite half a dozen preferred suppliers to quote, instead of just 3 unknown ones by email, it drives competition. Even if this only resulted in a 5% more competitive quote, against the $400m average Tail Spend opportunity it can equate to a $20m saving! So, solutions are out there to suggest that we can survive without email, we just have to make it easier for the organization to use them.